We recognize that respecting user privacy over the Internet is of utmost importance. This statement is designed to provide information about the privacy and data collection practices for www.roytrav.org. 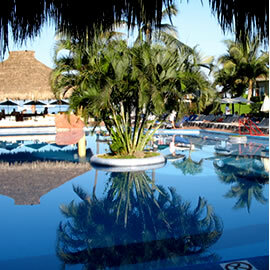 This site is operated by Royal Travel & Cruise Centre, Cold Lake, Alberta. This site does not contain any on-line booking areas, or any other areas that solicit information from users of this site. Therefore, generally, you can visit our site without telling us who you are, or providing any information about yourself. Royal Travel & Cruise Centre provides links to other web sites. Those Internet sites and services have separate privacy and data collection practices. Once you leave www.roytrav.org, Royal Travel & Cruise Centre cannot control, and has no responsibility for, the privacy policies or data collection activities at another site. Royal Travel & Cruise Centre is sensitive to the heightened need to protect the privacy of children under the age of 13. The vast majority of the material on our web site is not intended for children and is not targeted to children under the age of 13. Copyright 2012.Tiptank Web Design. All Rights Reserved.